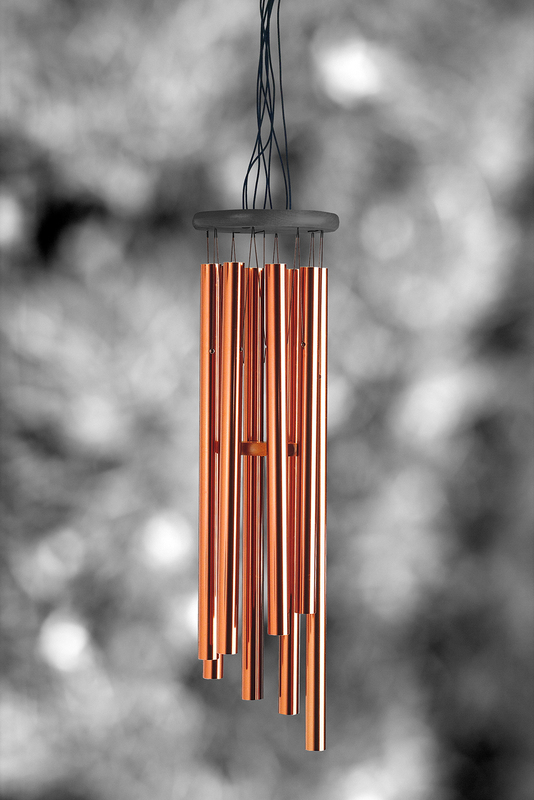 “Wind Chimes” is a multichannel, wind powered sound installation composed for prepared copper wind chimes and custom electronics. 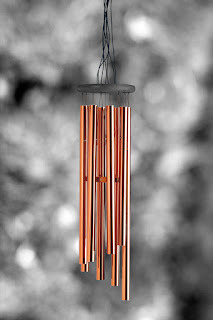 “Wind Chimes” will be installed outdoors hanging from tree limbs on the 1700 block of South Laflin Street in Chicago. Jeff Kolar is a sound artist, radio producer, and curator working in Chicago, USA. His work, described as “speaker-shredding” (Half Letter Press), “wonderfully strange” (John Corbett), and “characteristically curious” (Marc Weidenbaum), includes cross-platform collaboration, low-powered radio, and live performance. His work activates sound in unconventional,temporary, and ephemeral ways using appropriation and remix as a critical practice. His solo and collaborative projects, installations, and public performances often investigate the mundane sonic nuances of everyday electronic devices. Jeff is a free103point9 Transmission Artist, and the Founder and Artistic Director of Radius, an experimental radio broadcast platform. Since 2011, Radius has commissioned over 50 original radio works by artists from over 20 different countries. His work has been commissioned by the Propeller Fund, a re-granting agency of the Andy Warhol Foundation for the Visual Arts, and free103point9, a re-granting agency of the New York City Department of Cultural Affairs and the New York State Arts Council. He has delivered lectures at New Adventures in Sound Art (Toronto, Canada), Le Cube Centre de création numérique (Paris, France), Concordia University Topological Media Lab (Montreal, Canada), Parsons Paris School of Art & Design (Paris, France), Wave Farm Study Center (New York, USA), School of the Art Institute of Chicago (Chicago, USA), and led workshops at Ljudmila Art and Science Laboratory (Ljubljana, Slovenia), Ecole d’Enseignement Supérieur d’Art de Bordeaux (Bordeaux, France). He has performed and exhibited widely across the United States, and at international venues and festivals such as the New Museum (New York, USA), The Kitchen (New York, USA), ORF RadioKulturhaus (Vienna, Austria), CTM Festival for Adventurous Music (Berlin, Germany), University of Illinois Chicago Gallery 400 (Chicago, USA), Columbia College Chicago A+D Gallery (Chicago, USA), Sonic Circuits (Washington DC, USA), Krannert Center for the Performing Arts (Urbana, USA), GLI.TC/H (Chicago, USA), Megapolis Audio Festival (New York, USA), and LAK Festival of Nordic Sound Art (København, Denmark). His work has been broadcasted internationally on radio stations including ORF Kunstradio (Vienna, Austria), Radia Network, WFMU (New Jersey, USA), CKUT (Montreal, Canada), CKUW (Winnipeg, Canada), Radio23 (Portland, USA), Radio Eterogenia (Córdoba, Argentina), Red Radio UDG (Guadalajara, Mexico), Radio Libertaire (Paris, France), Stress FM (Lisbon, Portugal), and WGXC (New York, USA). In 2013, Time Out New York awarded his work with choreographer Jennifer Monson as the “Best Dance of 2013”. He has also composed music for dance at the Dance Improvisation Festival at Columbia College Chicago (Chicago, USA), American Realness at Abrons Art Center (New York, USA), and Open Studio at the Krannert Art Museum (Champaign-Urbana, USA). His work has been released on a variety of record labels such as Panospria (Canada), HAK Lo-Fi Record (France), free103point9 (USA), and has appeared in compilations by Furthernoise.org, iFAR (England), and Sonic Circuits (USA). His video work was published in the DVD journal ASPECT: The Chronicle of New Media Art.